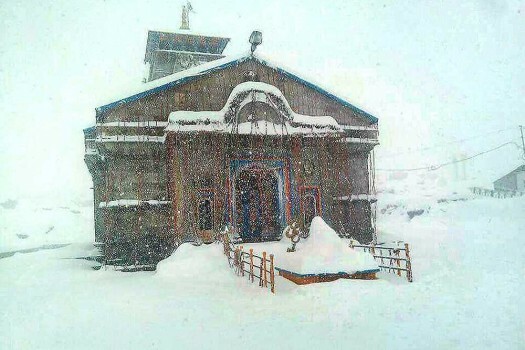 A view of Kedarnath Temple after heavy snowfall, in Rudraprayag district. 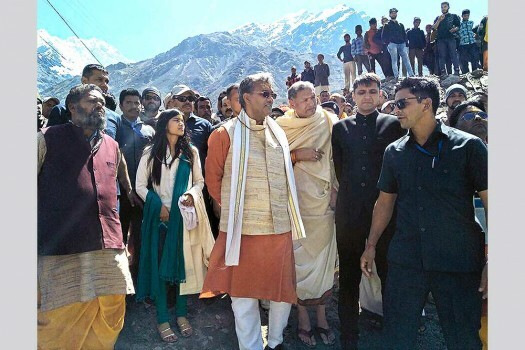 Uttarakhand Chief Minister Trivendra Singh Rawat visits Kedarnath Temple, in Rudraprayag district. 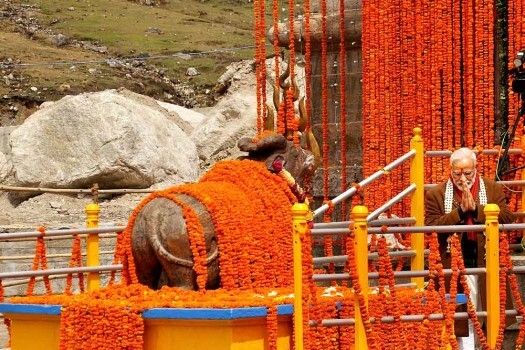 The portals to the Kedarnath shrine open for pilgrims in Uttarakhund's Rudraprayag district. 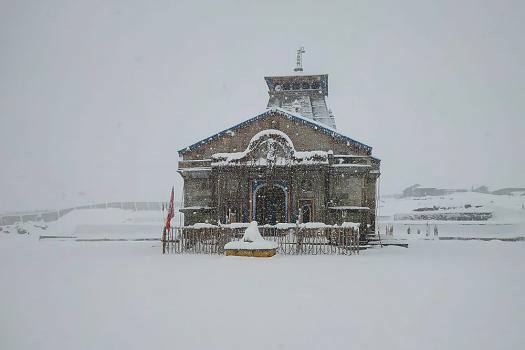 A view of the Kedarnath temple amid heavy snowfall, in Uttarakhund's Rudraprayag district. 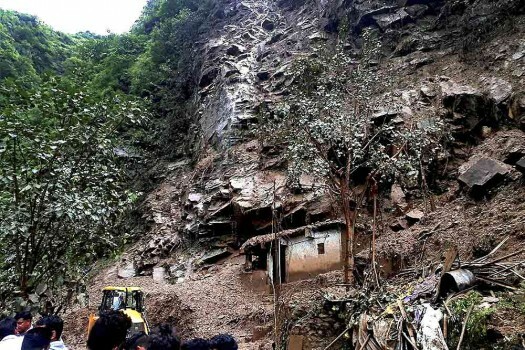 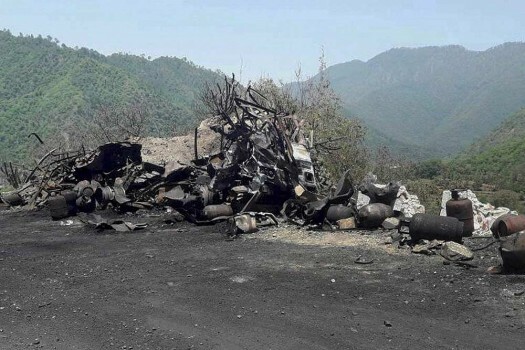 A damaged temple after landslide in Chandranagar in Rudraprayag. 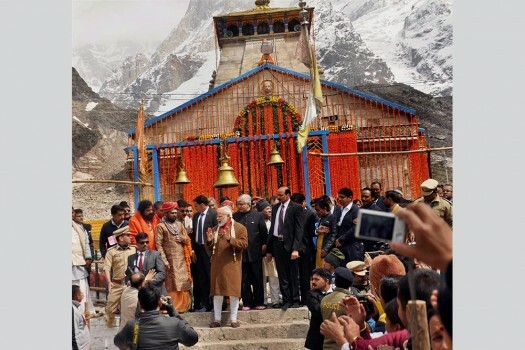 Prime Minister Narendra Modi during his visit to the Kedarnath Temple, in Uttarakhand. Governor of Uttarakhand, Krishan Kant Paul is also seen. 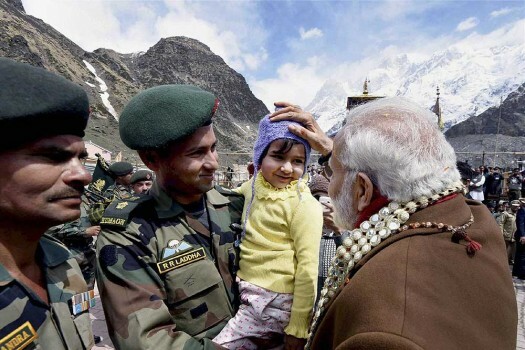 Prime Minister Narendra Modi interacts with a kid during a visit to the Kedarnath Temple, the portals of which were opened for devotees after a six-month long break. 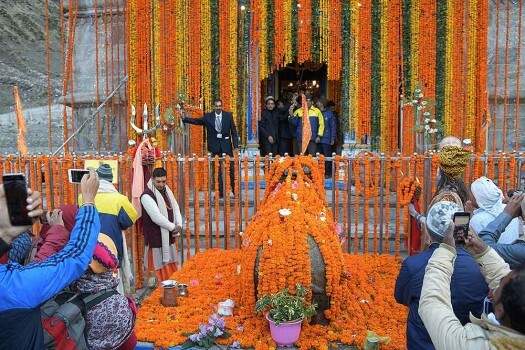 Prime Minister Narendra Modi offering prayers at the Kedarnath Temple, in Rudraprayag. 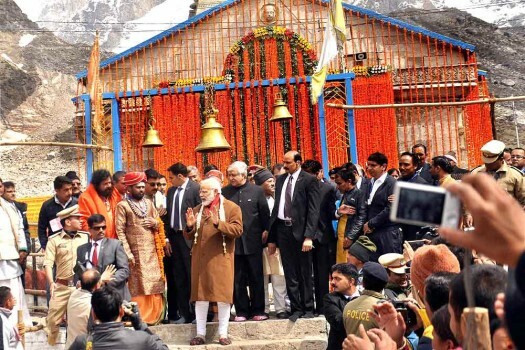 Prime Minister Narendra Modi after offering prayers at the Kedarnath Temple, in Rudraprayag. 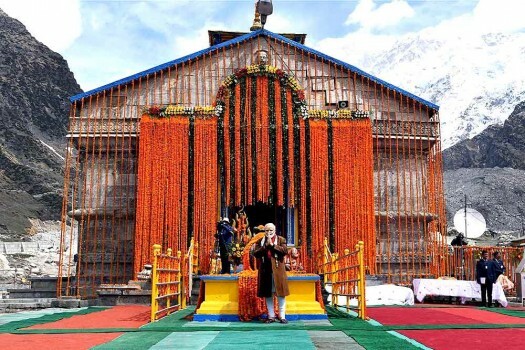 Prime Minister Narendra Modi after offering prayers at the Kedarnath Temple, the portals of which were opened for devotees after a six-month long break, in Rudraprayag. 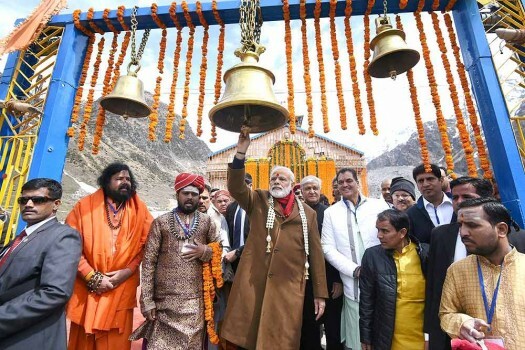 PM Narendra Modi after offering prayers at the Kedarnath Temple, the portals of which were opened for devotees after a six-month long break, in Rudraprayag. 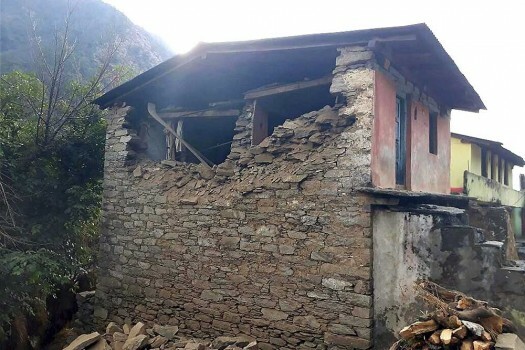 A damaged house at the earthquake affected Kalimath Village in Rudraprayag district of Uttarakhand.